The E.O. 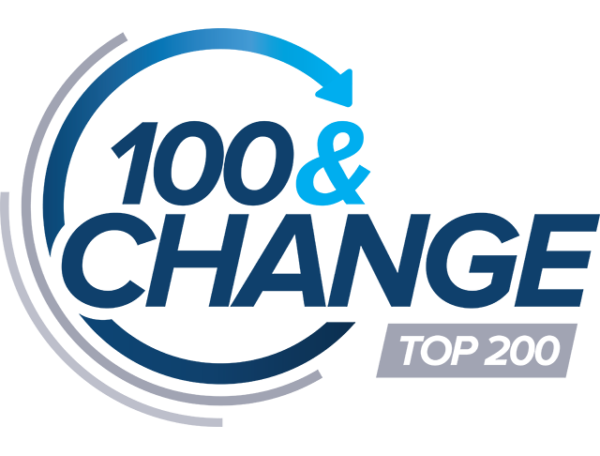 Wilson Biodiversity Foundation’s Half-Earth Project has been recognized as a 100&Change Top 200 grant proposal. The MacArthur Foundation’s 100&Change grant competition was focused on funding a “bold proposal that promises real progress toward solving a critical problem of our time.” With over 1800 total submissions, the Half-Earth Project’s score in the Top 200 is considered a real honor. This special logo has been created to communicate this accomplishment and identify the E.O. Wilson Biodiversity Foundation as a problem solver. In a crowded field, the Half-Earth Project was one of only fifteen submissions in the Conservation and Biodiversity category that made it into the Top 200. To view all of the projects in the Top 200, visit the Results page. The MacArthur Foundation has launched a public online searchable database of the 100&Change Top 200 proposals, and hopes that this resource will lead to other funding opportunities for these proposals. The database includes executive summaries, problem/solution statements, location(s) of work, and links to summary videos. You can easily search for proposals based on keywords, location of work, organization name, and thematic area. Click here to learn more about the E.O. Wilson Biodiversity Foundation’s Half-Earth Project 100&Change Top 200 grant proposal. Half-Earth is a call to action to protect half of the planet’s lands and oceans, and end the extinction crisis. If we save half, we protect 85% or more of all species. The Half-Earth Project is at work to: 1) drive the research needed to better understand and care for our world, 2) provide leadership to guide conservation efforts, and 3) engage people everywhere to participate broadly in the goal to conserve Half-Earth.